When planning a road trip across Europe there is a lot to remember from the way the roads work in other countries to understanding speed limits to road signs. So with all this in mind you really must be prepared for when you get behind the wheel. To give you some of its top tips on travelling by car in Europe, we’ve teamed up with Motability dealers, Lookers. Traffic laws is probably one of the obvious things to be aware off and there are different ones around the world so it's important you become knowledgeable on what you should and should do on the roads. If you plan to travel through different cities when you’re away, traffic laws could again differ. Drivers should be preparing themselves by learning the rules of the road. Universal rules will usually include the use of a seatbelt, speed limits and blood alcohol levels - which is something all drivers should be aware of. In continental Europe, all drivers drive on the right-hand side of the road, but in some local areas, people may drive down the centre of the road believe it or not! 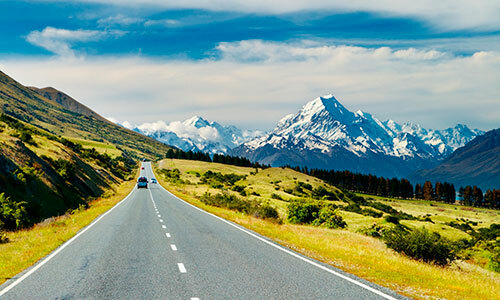 As you’ll likely be driving in unfamiliar areas, it’s important that you plan all of your routes to avoid any lost time and to ensure that you see as much of Europe as you can on your holiday. Its worth investing in a map of Europe or use an internet route planner (make sure you have internet) this will also help you locate any service stations and other facilities you may need, such as restaurants and hotels, which can be incredibly useful when you’re driving around. There is nothing more stressful than getting lost in a foreign country especially if you are travelling with children. With tourists being charged extortionate rent prices for vehicles when they’re away, it’s always cheaper to rent by the week rather than by the day. If you were to book your vehicle in advance, this can also help reduce further cost, as rental companies will usually decide on this when their inventory is high. If you’re looking for a bargain, it’s always advised to search around to find the best competitive price. With any contract that you sign, it’s important to read over the terms and conditions properly so that you know what you’re actually paying for, whether this is highlighting the type of vehicle, times available and the end date. Not only that, you can avoid any unnecessary charges that could present themselves and ask any questions that you might have. You must not forget to check the vehicle before you leave to ensure there is absolutely no damage before you drive off. National driving licence is something not to forget, as every country in the European Union you visit will require it. Depending on where you’re going, you might have to take with you an International Driving Permit in order to actually rent a car when you’re abroad and to ultimately drive on the public highway. Don't forget to bring your proof of insurance with you, especially when it comes to crossing different borders around Europe. You’ll always be able to ask for further information from your car rental agency and they’ll likely be more than happy to explain what you need when travelling. This is my simple guide on how to survive driving across Europe, where is your next destination?